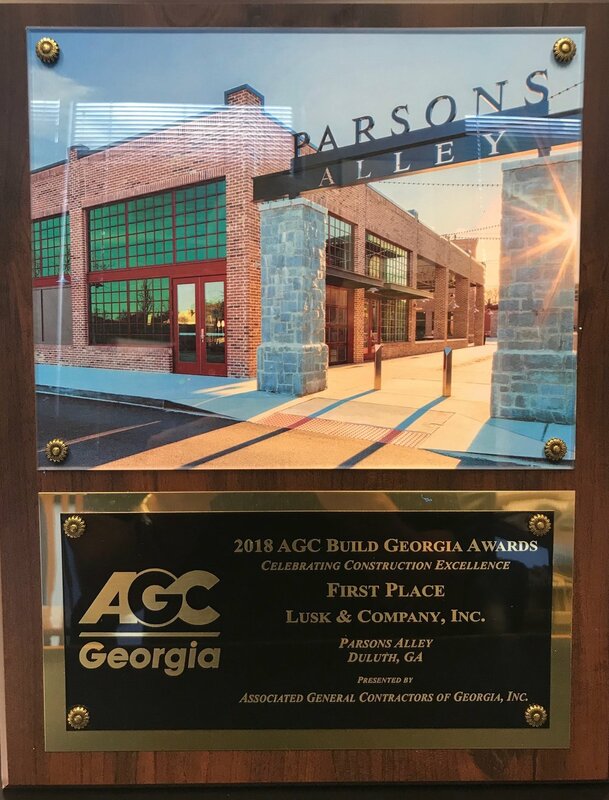 Lusk recently received recognition at the AGC-Build Georgia Award Competition, where General Contractors are acknowledged for outstanding performances, on some of Georgia's most remarkable projects. Judging includes: Safety Performance, Creativity in Overcoming Project Challenges, Excellence in Project Management, Innovative Construction Techniques and Dedication to Client Service. Additionally, we were recognized for Outstanding Safety Performance (2017) for Zero Lost-Time or Accidents. We appreciate, thank, and congratulate our partners & team members on a job well done. 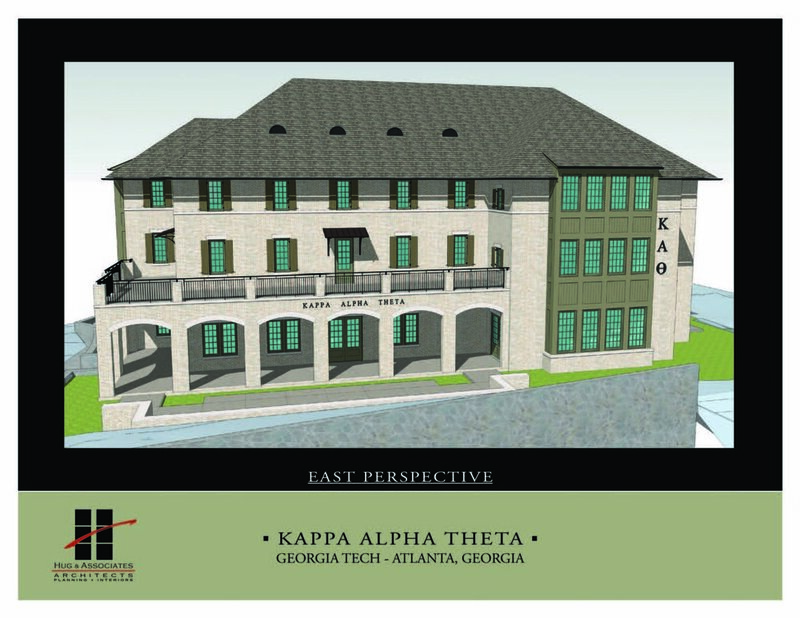 A new 14,400SF, three-story Chapter house for the new Kappa Alpha Theta sorority at Georgia Tech is about to break ground and is scheduled to be completed in June of 2019. Two new projects are in progress! The first is the renovation of Dunwoody United Methodist Church in Dunwoody, GA. Major updates are being made to their sanctuary space to facilitate both contemporary and traditional worship. Additionally, a new organ, acoustic, lighting and AV systems will be installed as well as reconfiguring the chancel and stage and creating a new balcony sound booth. The project is scheduled to be completed October of 2018. The second project is Village Park Senior Living at Spalding Drive in Peachtree Corners, GA. A four-unit addition will be added to the existing main building as well as a two-unit cottage addition. The project is scheduled to be completed November of 2018. Two new projects are underway! The first St. Bernadette Catholic Church located in Cedartown, GA. It will be a new church campus for the Parish of St Bernadette. This project will include 12 acres of site development and a new 18,000 SF church building which will include classrooms, office space, kitchen, and a new worship center. Project completion date is May of 2018. The second project is a new church campus for St. John Paul II Catholic Mission located in Gainesville, GA This project will include 9 acres of site development and a new 27,000 SF church building complete with classrooms, office space, and new worship center. Project completion date is July of 2018. A new 13,000SF, three-story Chapter house for the AEPi fraternity at Georgia Tech in Atlanta is underway and scheduled to be completed in August of 2018. Lusk is proud to announce that our project for Kennesaw State won First Place in 2017's AGC Build Georgia Award competition. Congratulations to Brent Nitschke and Rocky Littlepage for their hard work and dedication! This is a 74,000 SF, 3 story development dedicated to Assisted Living and Memory Care for Seniors is nearly 70% complete with an estimated grand opening of November 2016. The facility hosts a mixture of 1-bedroom, 2-bedroom, and Studio Apartments for Assisted Living Residents and Single and Shared Studio Apartments for the memory Care Residents. The Parsons Alley project, which consists of restaurant and retail space, is nearly half way finished. Check out the progress photos below. Slingshot Entertainment takes First Place! Lusk is proud to announce that our project for Slingshot Entertainment won First Place in this year’s AGC Build Georgia Award competition. Congratulations to Bryan Rogers and Rocky Littlepage for their hard work and dedication!